Apply for up to £500 to help make the change you want to see in the world. The ‘Imagine Democracy – You Decide!’ initiative aims to fund creative actions by groups or individuals that re-imagine local democracy through activism, campaigning, creative expression, building public awareness, etc. For example, you might want to organise a public action, event or visual display to raise awareness or promote action around an issue you care about; encourage voter participation at the upcoming local elections; or persuade government and/or your elected representatives to take action on a particular issue. We’re very open minded as to the type of actions we will support and are hoping you’ll inspire us with your creative ideas! To apply for the funding please complete the brief application form below, with your details and the outline of your bid and submit it online no later than midnight on Friday 29th March. This will then be evaluated by an independent panel, which will decide whether your application meets the criteria of being fair, legal, feasible and non-party political. Successful applicants will be invited to do a public ‘pitch’ on Saturday 30th March 2019 from 2-5pm at the Crescent Arts Centre, University Road, Belfast as part of the Imagine Belfast Festival of Ideas & Politics. You will have a maximum of three minutes to present your idea to the audience in whatever format you wish, the more creative the better. If you need any aids (e.g. a projector screen to show a presentation or video) or have particular requirements please let us know in advance via the application form. Members of the public attending the ‘Imagine Democracy – You Decide!’ event will vote for their favourite ideas and the top six ideas will be funded (more if funds allow). Each attendee will have multiple votes, one of which they can use for their own idea, with the remainder distributed amongst their other favourites. Please note that for technical reasons the funds awarded will be spent on the winners behalf on the activities specified, or reimbursed, rather than paid upfront. The winning ideas will be invited back to a celebration event in June 2019 to tell us about what they did with their awards. The Imagine Democracy – You Decide initiative is an example of participatory budgeting, a democratic innovation where members of the public come together to explore community priorities and decide directly how public money is spent. 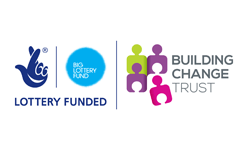 It is part of the Participatory Budgeting Works project funded by The National Lottery Community Fund through the Building Change Trust. Only one application per organisation, group or individual please. Q1. Name of individuals or group(s) bidding for the award? Q2. What are your contact details? Q3. What is your idea & how will you make it happen? When do you expect it to be completed? (The project has to be completed by 31st May 2019.) NB. 300 words max – we will count them so don't go over! Q7. Do you have any accessibility (e.g. disability, language) or any technological requirements (e.g. laptop, projector screen, sound) to help you with your pitch at the voting event on 30th March? NB. If you have a slide presentation or video you will need to send it to Paul or Louise (see earlier contact info) no later than 4pm on Friday 29th March. NB. Please answer all questions.